Leather dog collars made in the US are available in 11 beautiful colors with 3 ornament styles and 9 sizes for small + big dogs. Imported Swiss Velvet leash offered in a rainbow color assortment. Beautifully made, excellent quality ! 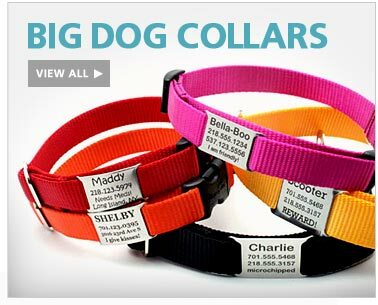 Mix and match leashes with your dog's collars to create your own custom look. Leash handle is adjustable ! Martingale dog collar made with luxurious silk brocade embroidered with gold dragonflies. Brass hardware and gold satin lining are the finishing designer touches.